With one day to go until the second trailer for Fantastic Beasts: The Crimes of Grindelwald is released, WB has dropped a new poster for the film. 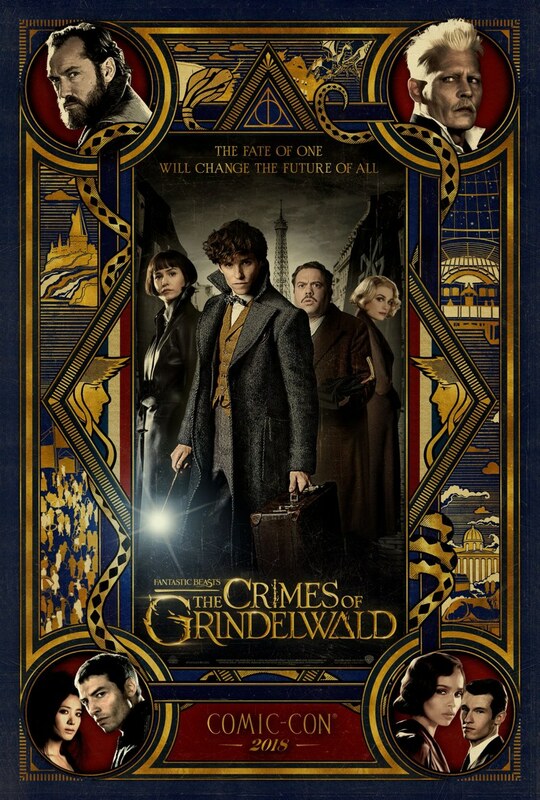 Designed by Harry Potter and Fantastic Beasts graphic art designers MinaLima, the new poster depicts the lead characters and several references to the story. The Deathly Hallows! Fabulous Hogwarts! A snake likely out of Circus Arcanus! A wagon depicting Grindelwald’s escape! And then there’s that tagline: “The fate of one will change the future of all.” Is it a reference to Grindelwald? Nicholas Flamel? Pickett? 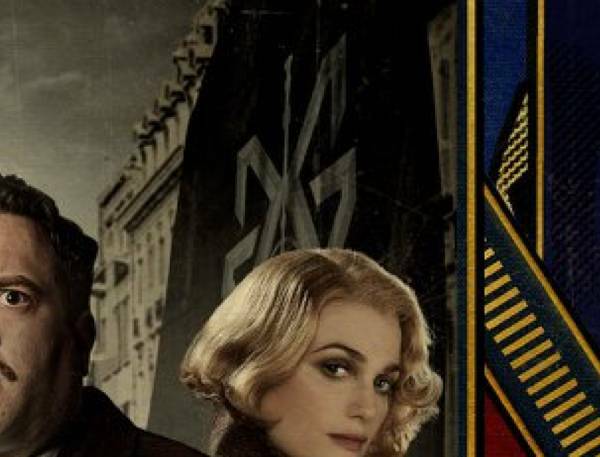 Above Queenie’s head we see a symbol that consists of a ‘G,’ a mirrored ‘G,’ and potentially the Deathly Hallows and Elder Wand. Is this Grindelwald’s symbol? The movie hits theaters this November. Editor’s note: Johnny Depp, who co-stars in this film, has been repeatedly accused of violence. He allegedly beat his ex-wife Amber Heard (read the accusations by Heard and Depp’s former associates). J.K. Rowling responded to the controversy. In July 2018, Depp was accused of punching a crew member on the set of a film in April 2017. Why are we telling you this?